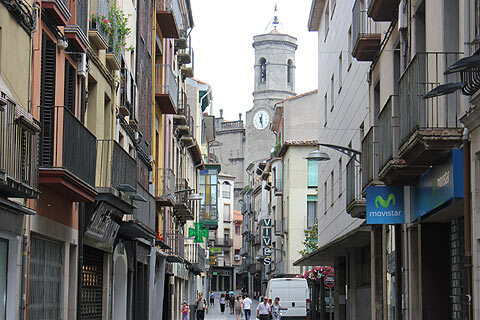 Olot is in the province of Girona in the Catalonia region of Spain. Olut is a charming town in the heart of the volcanic Baixa Garrotxa region. It is an excellent base for exploring the Parc Natural de la Zona Volcanica de la Garrotxa. The drive to Olot from Figueres or up from Girona is lovely as it leads you into the wonderful scenery of the Volcanic area of Garrotxa. The area has thirty volcanic cones however they are all now wooded and peaceful - the last eruptions were nearly 12,000 years ago. To see the craters you need to do one of the many pleasant walks in the area but it is very pleasant countryside for driving too. It is just an hour or so from the coast and yet has a completely different countryside and style of towns. 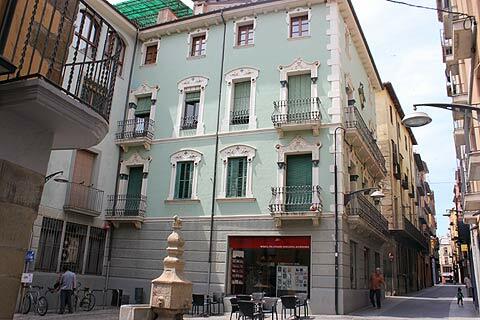 Olot itself has a very pleasant centre with some fine mansions dotted around the town. 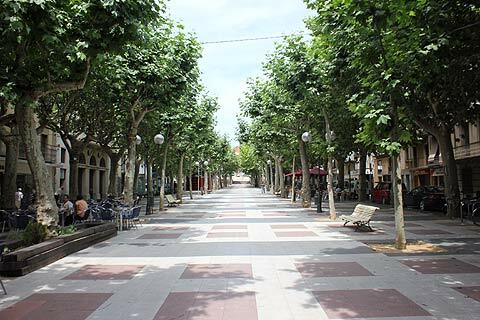 The nicest streets are around the Placa Major and the Sant Esteve church. Many of the buildings are brightly coloured and beautiful to see. 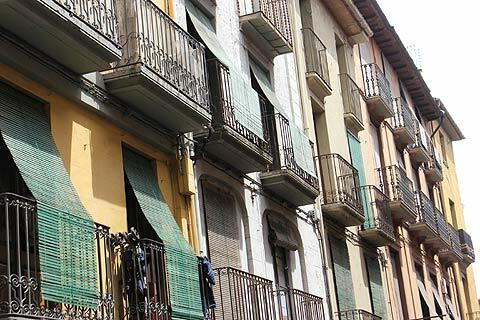 On the main rambla, the Passeig d'en Blay, look out for the Casa Sola Moral - a beautiful building with statues and a long balcony which was built in Baroque style in 1781 but then given a Modernista-style restoration of its facade. 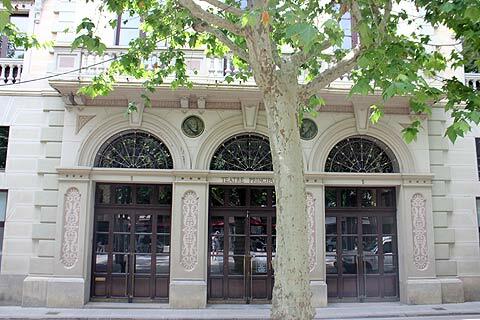 Also on the rambla is the 19th century theatre as well as a good selection of pavement cafes and bars as always seems to be the case on the ramblas in Spanish towns. 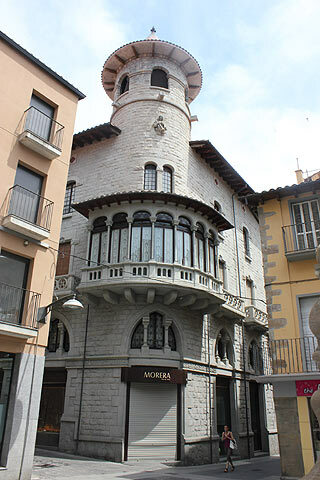 Olot is home to quite an important local artistic centre which developed partly as a result of its cotton industry and the designs used for the fabrics. 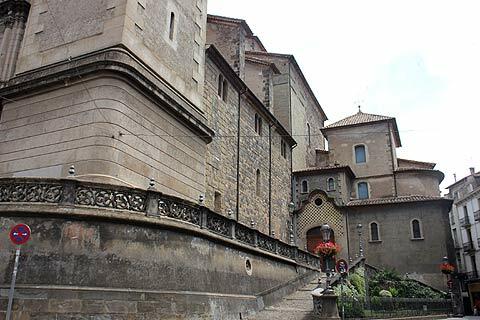 A good collection of local art and sculpture is housed in the Museu Comarcal de la Garrotxa. 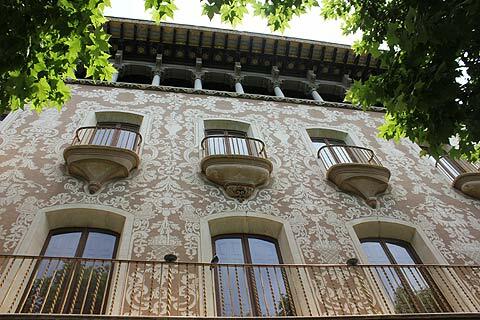 This museum which is in a converted 18th century hospital also has an exhibition tracing the history of Olot. 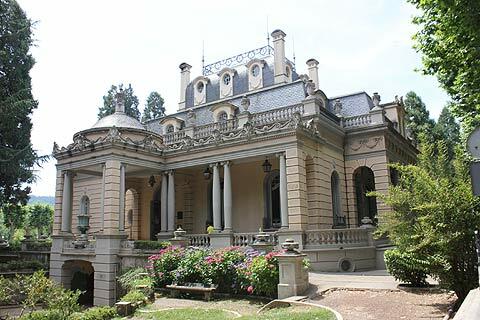 On the edge of Olot is a botanic garden and also near here is the Casal des Volcans, a museum about the local volcanic region. Whilst in Olot be sure to ask in the tourist office for maps of walks into the surrounding volcanic countryside. Various of the craters have paths up to the crater's edge. The fabulous medieval village of Besalu is nearby as is the charming small village of Santa Pau. The impressive walled city of Girona is to the South East.